Leading American climate change activist and founder of 350.org Bill McKibbon calls for environmentalists to get on the front foot ahead of his European speaker tour. 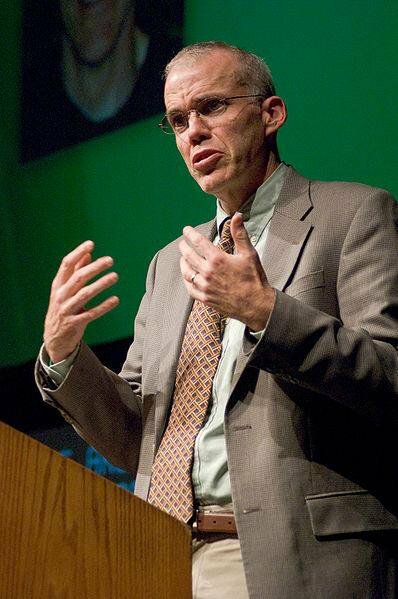 Journalist and author Bill McKibben is one of the most prominent climate change activists in the USA, and is founder of the growing network 350.org. He is coming to the UK for a speaker tour this week, and before he set off, I caught up with him over Skype from my house in Oxford. 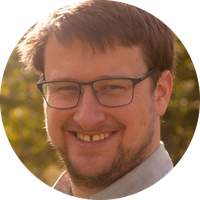 Adam Ramsay: The climate movement in the UK grew to a peak around 2009, around the time of the Copenhagen talks, then died off and there's been a lot of introspection about that. Is that a pattern we've seen globally, or just in the UK? What should be done about it? Bill McKibben: Everybody was cratered after Copenhagen. If the movie had worked the way that it should have, if it had been scripted by Holywood, the world would have come together and addressed the biggest problem it ever had faced and delegates would have embraced each other, and it all would have been a good happy scene instead of the complete farce and debacle that it turned into - maybe in certain ways, an absolute low point for human diplomacy. But, since then, in the States, the movement's actually gotten much much much stronger. There really was no climate movement so to speak before that – I think because everybody assumed that reasonable heads would prevail and do the right thing – and why would you need to have a huge movement in order to cause our leaders to deal with the most serious problem that they face. In a rational world you wouldn't. They would deal with it. But it was very clear by then that in this case reason wasn't driving us, as it were. We'd won the argument 15 years before, we were just losing the fight. And so it became clear to some of us that we would need to organise to fight, that we weren't going to win. We couldn't outspend the fossil fuel industry – they have more money than God. But we had other currencies that we could find work in - the currencies of movements: passion, spirit, creativity. That's really the year that we were founding 350.org and it's gone on to branch out all over the world, and become one of the hubs of this emerging climate movement. In the States we've had by far the largest demonstrations in the last few years. The largest civil disobedience actions about anything in US history in the last 30 years have all been centred around the climate. So, here, there's more of a movement, it doesn't mean we're winning any more, but we're at least fighting. And I think the same around the world. At 350.org we just trained 500 young people from around the world in Istanbul for a few weeks. We had 5000 applications from young people who wanted to be part of the training. There's real hunger out there. AR: You've been running a global campaign, and running it from the US. I wonder if there's anything you've learnt from that, and how you've changed in response to those lessons? BM: Climate change is a huge problem, an almost insoluble problem, for two reasons. One is the habits of the West in terms of consumption. The other is the incredible iniquity between poor countries and rich countries on this planet. That was always a sin, but now it's an enormous practical obstacle to getting anything done too. And that's why one has to think about it and talk about it and act about it in different ways in different places. We spend probably more of our time than we should, just because it's close to home, worrying about the West. But it's equally important to figure out how we're going to free up the resources to let the developing world leapfrog the fossil fuel age. That's at least as mathematically important, and at least as morally crucial. AR – Your campaign aim is to shift investment away from fossil fuel companies, is that fair? I characterise it this way. We spend a lot of time playing defence against bad things. So, in the US, one of the focusses has been this huge Keystone Pipeline project, another has been the coal ports on the Pacific Ocean. In Australia, it's the fight against building big new coal mines... Or, on and on around the world, we play a lot of defence. And sometimes, I, anyway, get tired of playing defence, and like to play offence. And that's where this divestment campaign comes in. We'd like to get the fossil fuel industry on the back foot for a while, having to deal with us. AR: it seems in your campaign, there is a tension between two things. Are you aiming to hit oil companies in the pocket, or to stigmatise them? Of course, sometimes, the two go together, but for activists on the ground, choosing which to prioritise can sometimes be difficult. BM: Speaking for me, I think the odds of bankrupting Exxon are pretty small, but I think the odds of politically bankrupting them are higher. I think if we can use this as a vehicle to get out the analysis that these guys have 3-5 times as much carbon in the ground as the most conservative government thinks would be safe to burn, then that politically stigmatises them, makes them into the rogue industry that they are. And as that's taken more seriously as an analysis – and it is being taken more seriously – a year ago it was me writing in Rolling Stone and the Carbon Tracker Report, now the IEA and the World Bank and the IPCC have all basically joined this analysis. As that gets taken more seriously, it does do financial damage to these guys. HSBC... put out a report earlier this year saying, if the world took its 2 degree targets seriously, it'd have to cut the valuations of these companies in half. AR – So the message to activists is that, ultimately, this is about stigmatisation and a political campaign, not necessarily whether your university if you're a student, or your pension fund, or whatever, is invested in these companies, though that might be a good lever? BM: well... if one wanted to stigmaitise, that's how one would do it – lots and lots of people saying “we're severing our ties”. And even if it would have no effect, one should do it. Because if it's wrong to wreck the climate, it's wrong to profit from wrecking the climate. Period. End of story. AR: One of the things that people often debate in the climate movement in the UK, with investment style campaigns, is that a lot of climate activists are very critical of the capitalist system as a whole, and think it risks validating the system, or implying it's possible to make change within the system. I wonder if you have a response to that? Or if that debate plays out in the States? BM: Yeah, I'm probably the wrong person to ask. My partner in much of this work, who really came up with the divestment campaign with me, Naomi Klein, I think has written powerfully about this. The stuff I've thought more about is whether this industry is susceptible to the sort of normal tactics we use – which is not divestment, but, you know, proxy votes, and shareholder resolutions, and petitions, and things like that. That's usually the way... if Apple is enslaving Chinese to make its iPhones, you don't need to eat the i-Phone, you need to make sure that Apple is paying a living wage to someone, and then it adds a dollar to the cost of iphones, and everybody's cool. In this case that's not the issue. It's not like there's a flaw in the business plan of Exxon. The flaw is the business plan – digging up and burning way more carbon than physics says we can deal with. So, I suppose it's some kind of mid-point between writing them nice letters asking them to stop and figuring out a way to take down the entire system- which I don't have any idea how to do. AR: You use science a lot to sell ideas and to persuade people – the name of your organisation, the name of your speaker tour (Do the Math), it's all about science and sums and maths. One concern about that is that there was a study I saw recently which said that when people see climate science, it is more likely to confirm what they already believe than to change their belief. Are the numbers and the science the best way to communicate, or do we need to think of other ways to communicate our messages? BM: I think we need to think of lots of ways to communicate. And we tried some at 350. We organised what they called the largest art project in the planet's history. We do a lot with art and music and things. But in the end, climate change is a math problem. We're putting more carbon into the atmosphere than the atmosphere can absorb. And everybody told us when we started, coz we knew nothing when we started – we still don't know very much – but everybody told us 'this is crazy, you don't use a scientific data point, it's a number, people don't respond to numbers'. To me the analogy is... doctors worry a lot about cholesterol. And if you go to the doctor, and the doctor says “oh, your life would be happier if you ate a different diet and exercised” people pay no attention. But, when they go to the doctor, and the doctor looks at their chart and says “you know what, your cholesterol is now in the zone where people have massive heart attacks and, actually, you might already have had a small stroke yourself”, then that's the point where most people say “OK, what pill do I take? how do I change? what do I do now?”. And we've found that to be the case. We've found everybody completely capable of dealing with the math. We've organised, like, fifteen thousand rallies in every country on earth except North Korea. We've been in lots of places that I suppose, by Oxford standards, would be considered illiterate, but everyone's completely conversant with the idea that here is a number, and that number is above it, and that's too high. It's not a very complicated idea. AR: The message that you're talking about – which is about the amount of oil under the ground and the amount of carbon in the atmosphere and the oil companies - it seems to me to be very carefully constructed around challenging an organisation of power – oil companies – rather than aimed at consumers and citizens and saying to people 'you're the problem'. So my question is, is that intentional, is that a debate you've had? BM: This for me is one of these places that mathematics is a good help. Given the time we have, and the scale of the problem, I think the odds that we're going to solve it one household at a time are relatively small. The problem is structural and so one needs structural change... That doesn't mean we shouldn't... my house is covered in solar panels, I'm a great believer in all this – we all should be doing this. If we had about 100 years, that sort of slow cultural conversion would be exactly the thing to do. But physics is calling the tune here. We've got to respond to a timetable that physics has set for us. AR: In the UK, the stereotypical climate activist looks like me – white, middle class, has a university degree, and so on. I know that, in the States, there have been tensions. Tom Goldtooth (CEO of the Indigenous Environment Network) has been critical of your work. That's a political discussion that plays out here too. I have got two questions relating to that. The first is how do you respond to the specific criticisms made of you? The second is about the lesson here – the average UK wage has dropped by 9% in real terms since 2007. Families are struggling. The big political issue here is how high energy bills are, and whether we ought to stop investing in green energy because some conservatives argue that it increases energy bills. And so, how can we diversify our movement to not just be well off people here? And how do you respond to the specific criticisms? BM: In the US, this Keystone thing has been a very good way to diversify the movement here, it's been fun to watch. Environmentalism, I'd always been told, was just rich white people. Around the world, that's clearly not true. When we work all over the planet, it's mostly poor and black and brown and young people, because that's mostly what the world is. But in this country, this keystone stuff was started by indigenous people in Alberta, and they were the original leaders in this. And that's still who we work most closely with in a way, so our great colleagues are people like Clayton Thomas-Muller. Clayton's one of my great friends, and working hugely hard on this stuff, and Reuben George on the West Coast, and Bill Erasmus, the chief of the Dene, and Melina (Laboucan-Massimo), who's on our board, and Crystal Lameman, (all prominent First Nation Canadian activists) these are people who have been up speaking, making noise, touring, you know, everybody amplifies each other's voices. That's been good. What's been equally good, in a weird way, was that they decided to run this pipeline down the middle of the country, and so now we've got huge numbers of ranchers in Nebraska and things like that who began by being opposed to having their land taken away by Eminant Domain (compulsory purchase) but now understand, because they've spent a lot of time with us, the climate stuff ...too. It's not perfect and it never will be. I don't know how to make people who absolutely have to be obsessed with paying a week's energy bills... obsessed with climate change... It's very hard. But I think the best way is to keep stressing, that, as we build out a new energy system, one of the best things about it, if we do it right, will be that it will be more local, more democratic, more distributed, and, in the long run, much more economically sensible. When you have solar panels, your electricity gets there for free, no one's figured out how to meter the sun yet. And that's good. AR: In Britain, in the last couple of months, we've started to see more prominence to climate denialism than we're used to here. There was a Member of Parliament who hosted a debate in Parliament on whether climate change is happening. We have one of the ministers, one of the environment ministers, talking about the benefits of climate change! From your experience, is it worth engaging in those debates and trying to persuade people, or is it better just ignoring them? BM ... there's always gonna be people like this, when there are big concentrations of money and power, there are people who like money and power. That's just how it works. I don't spend a huge amount of time fixated on climate denial because I don't think that their objections, though sometimes couched in science, are based in science. I think they're based in ideology. And I don't think there's anything you can do. In the States, I think, the syllogism goes like this: 'free markets solve all problems. Free markets aren't solving global warming, QED global warming is not a problem'. It's not a very good syllogism but it's emotionally comforting if you're in that world. The irony is that one of the things people want to solve climate change is more market – more price on carbon so that markets have something to chew on when they think about climate change instead of the complete monopoly, the absurdity of allowing these guys to own the sky for free – socialise all of the costs and privatise all of the profits. But to me, it's more important to take the 60-70% of people who really understand that there's a problem and get some percentage of them active than to try and stamp out the last embers of pre-scientific thought. AR: How are you feeling about Obama from a climate perspective? BM: I think Keystone will tell the tale. He's been better than George Bush, on climate change, but that's a pretty low bar – I've drunk more beer than my twelve year old niece. He's done some good things, he's done a couple of bad things. He's obsessed with this all of the above energy policy and... lots and lots of drilling in the States, so he's been weak on it. I think that, if he did the right thing on Keystone, it's potentially really important. It would be the first time a world leader said “here's a big project we're not doing because of its affect on the climate”, and I think to sort of return our conversation to the beginning, it might actually be one of the few things that could re-energise the international climate talks that have been dead in the water since Copenhagen. AR: What advice do you have to activists in the UK? BM: I've got no advice. You guys know where you are and what will work. Just know that there are people all over the place working on this and that there's a great deal of solidarity around the world and we should try to build this big, sprawling movement that looks like the kind of energy system that we want – building lots of solar panels on lots of rooftops that are all interconnected. We're going to need that kind of movement, because the fossil fuel industry is a sprawling adversary - at work everywhere, its tentacles in everybody's politics, invulnerable, I think, to direct frontal assault, but probably more brittle than it guesses if we come at it from all sides. Bill McKibben is speaking in Edinburgh on the 30th of October, in Birmingham on the 31st of October, and London, with Greenpeace International Executive Director Kumi Naidoo, on the 1st of November – which, for students, will be the launch of People & Planet's Shared Planet event.